The Girls Homecoming – A chapter ends and one begins! This is the post I have waited so long to make. 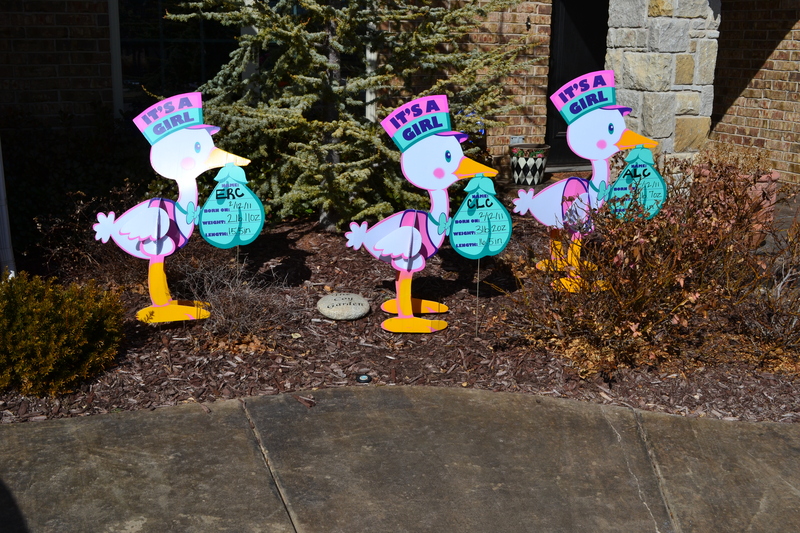 After five weeks and six days, all three Coy girls finally came home from the hospital on Friday, March 25. 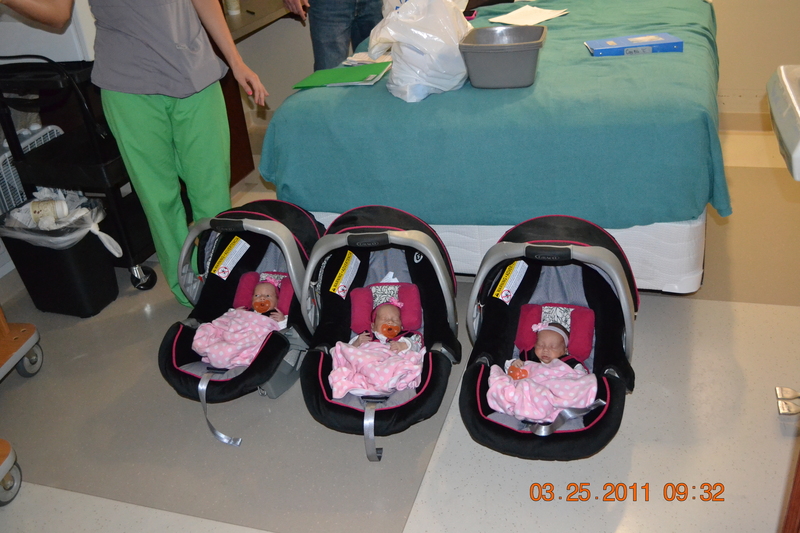 They left the hospital weighing (Avery – 5.3, Camdyn – 4.13 and Emily 4.8). 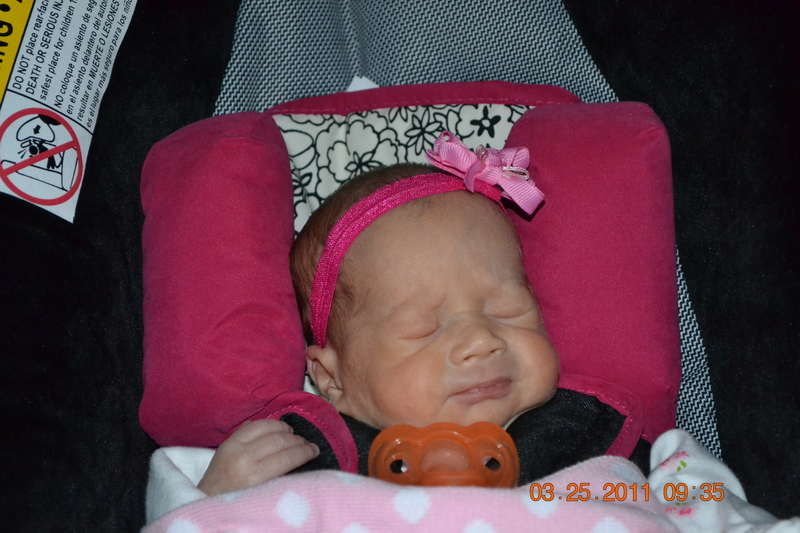 We had learned earlier in the week that Avery and Camdyn were up first to come home. Emily would only be a few days behind them. The hospital has NICU parents “room in” so you can get use to the girls during the night as well as have nurses on standby in case the girls were to have any complications or we had questions. We went in on Thursday, March 24 in the evening. 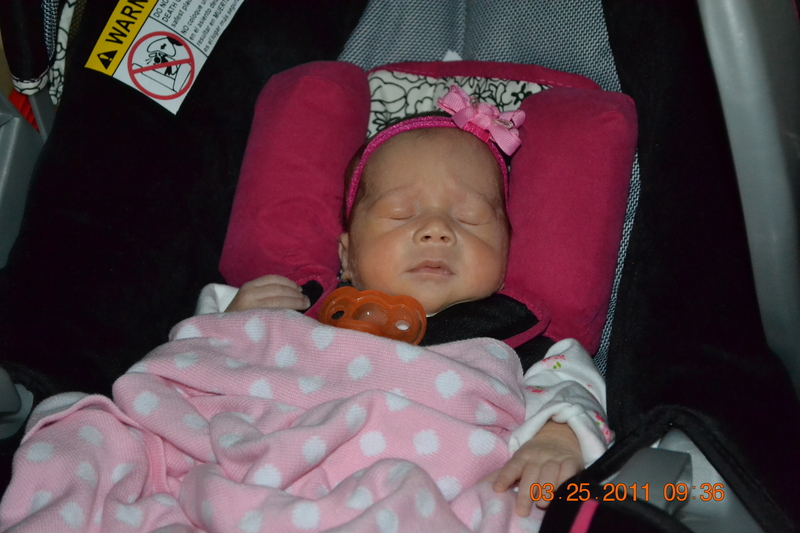 It was also the first time to hold the girls with no tubes, no monitors..period. Bryan and I coined, “The Last Supper” at Saturn Grill before we roomed in! We told each other how surreal it was that we were going to bring our girls home and enjoyed dinner together and went on to the hospital. 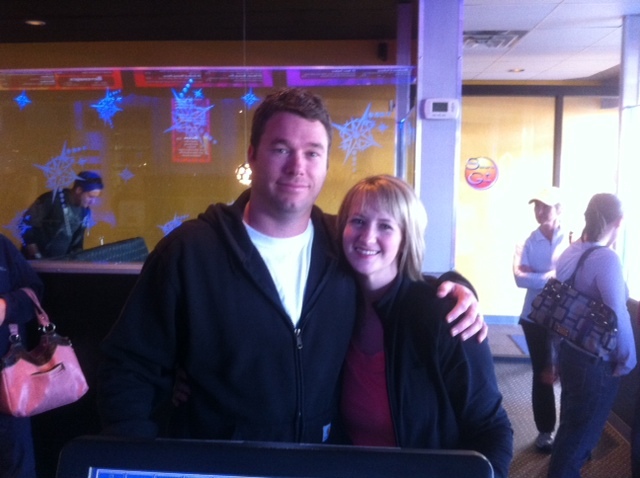 We could not wait to see them! Rooming in was interesting. We were literally up all night feeding the girls and it was clearly a look into our future this past weekend. The next morning, Bonnie, who is one of the AWESOME nurse practioners who oversaw the girls overall care asked us why Emily was not rooming in with us. We looked confused. She said, “There is no reason why she cannot go home with you toady.” Bryan and I looked at each other and were shocked. I was not believing that just as I imagined that all the girls would leave the same time. It was perfect. We worked with the nurse that morning to get all of our discharged assignments complete. They said at 9:30AM that they could have us out in an hour so we quickly called the troops and all of our family raced up to the hospital to help us and see us off as a family for the first time. It was such an emotional and joyous experience. Personally, I felt complete. I walked out the door that we had walked into for the past 43 days and almost instantly forgot about the worry, exhaustion, days visiting them, prayers for them to come home..It all just escaped us for that special moment. I got to dress the girls in the smallest clothes I had on hand, load them in their carriers and walk out that door for hopefully the last time with my husband and our sweet precious daughters. 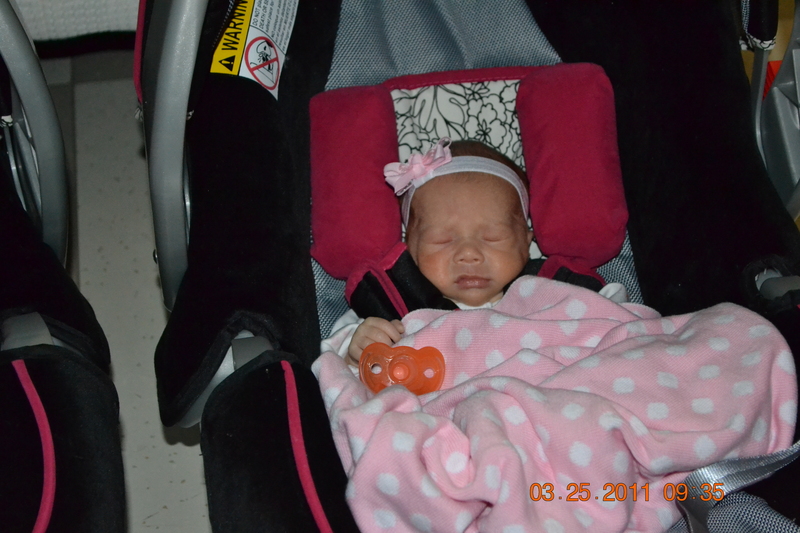 We had lots of lookers as we carried three car seats out the hospitals doors. And yes, we did have someone say, “Are they triplets?” My father in law reminded us that we will probably hear that for the rest of our lives! Once we got home it was almost instant relief. A calm before the chaotic storm that would be parenthood, but with complete and utter joy in our hearts that their homecoming was perfect. – 8 Feedings per day – total of 24 feedings per girl – grand total of 72 feedings! – Setting up three pack n plays. Our living room looks like a play pen! – Less than five hours sleep in 72 hours. The concept of “nap when the baby naps” is irrelevant this early. – Many answered prayers thanking God for our little family coming home! Thank you for all the special thoughts, messages, and prayers for the girls during this time. It has been remarkable what the power of family and friendship accompanied with God grace and power can do. A friend told me the other day, “they are proof of His plan.” I think so too. Congratulations! I am so excited for you all. We are close enough by that we can come help when you are ready. Just add me to the list! (Although might have a kid or two with me so not sure how much help I am). Ahh! I get so excited when you post and what a special post this is! Hang in there mama. You’re doing fine. And they are so beautiful.